In a speech on the future of immigration, Ms Abbot unveiled plans to make it easier for people from the rest of the world to come to Britain and for low paid workers to get easier access to British citizenship. The Conservatives warned that the plans are likely to push up immigration even further and push down wages at the lower end of the scale further as the UK is flooded with cheap labour. Immigration Minister Caroline Nokes said: “Diane Abbott made clear that Labour cannot be trusted to control immigration. “Labour have no interest in getting control of our borders as we leave the EU, and today said they would tear up the rules for people coming from outside the EU which would allow more low-skilled immigration. “For years, Jeremy Corbyn and Diane Abbott have talked down those with concerns at every single opportunity. 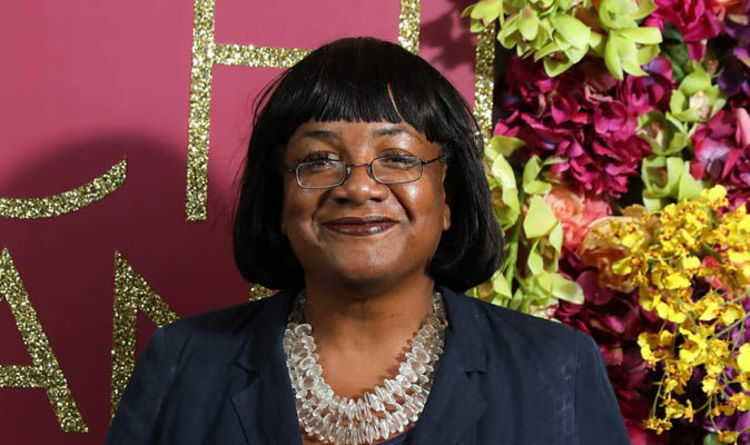 In her speech, the shadow home secretary unveiled a plan to create a reformed immigration system after Britain leaves the EU, saying “people should be treated equally and fairly”. Non-EU citizens, including those from Commonwealth nations, are treated as “second-class migrants” under the current system. she said in a keynote address in London. She said: “Once trade deals have been struck and established there will be no unequal treatment based on which countries people are coming from. “A fully qualified doctor from Pakistan will be treated just like a fully qualified doctor from Poland, and vice versa. In a further signal that she wants to scrap migration targets, Ms Abbott attacked Government aims to bring net immigration below 100,000 a year by insisting economic needs must guide policy, not “meaningless and arbitrary targets”. She said a reformed immigration system is needed to put prosperity and jobs first. Ms Abbott also worried immigration control campaigners with a plan for a more flexible work visa scheme to ensure the UK attracts people with key skills from across the globe. She said: “Sadly at the current time we have a class system for migrants. “Commonwealth migrants and other non-EU migrants are treated in a way that is tantamount to making them second-class migrants. “They struggle to bring partners or spouses here. They have to meet minimum income targets. They can lose their right to residency simply by travelling home for family reasons. “It’s not fair, it’s not humane, it’s not reasonable. Ms Abbott said that after Brexit EU citizens already in the UK should retain the rights they already enjoy. She attacked Government policy for using Europeans as “bargaining chips”, adding: “Anyone who arrived here under the freedom of movement provisions up to our exit from Brexit must continue to be accorded those same rights going forward.